My Home Style: Colorful Eclectic Cottage - Lovely Etc. For a long time I had no idea what my home décor style was. I would see pictures of things I liked on Pinterest and try to copy them in my own home. But even though it was beautiful in photos, in my own home it just didn’t quite fit. It took me way too long to realize that there are lots and lots of beautiful styles out there – but they can’t all be my style. After making that realization I got to work finding out what is me. And once I had narrowed down my style, decorating my home became so much easier. Our house finally started to feel like a cohesive whole instead of a bunch of disconnected parts. And I was able to quickly tell the difference between the things that I admire in general and those that are actually right for my home. 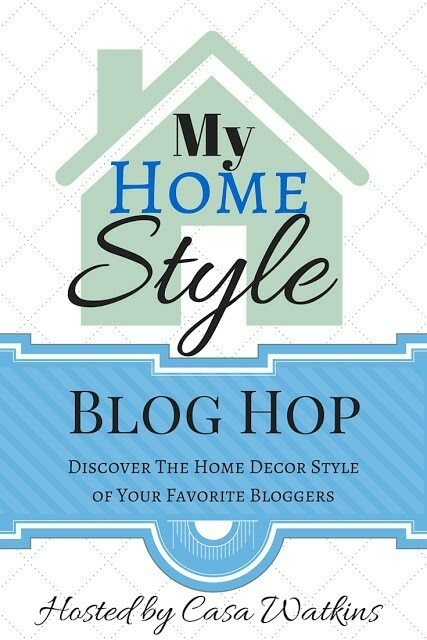 This week I’m joining 19 other home bloggers to share our personal home décor styles. I am loving seeing how unique everyone’s style is. There really is no one right way to decorate. If you are still trying to narrow down your own home style, visiting each of the blogs and seeing so much inspiration is a great jumping off point for figuring out what you truly love. So what is my home décor style? I call it colorful eclectic cottage. I’ve come to realize that I love white, bright spaces, but I also love color. I can admire a beautiful neutral room but it will always look like it is missing something to me. My home is full of turquoise, lime green, and navy with lots of white to help the colors pop. Color makes me happy, it gives a room energy, and it is just plain fun. I love to mix all kinds of styles together. 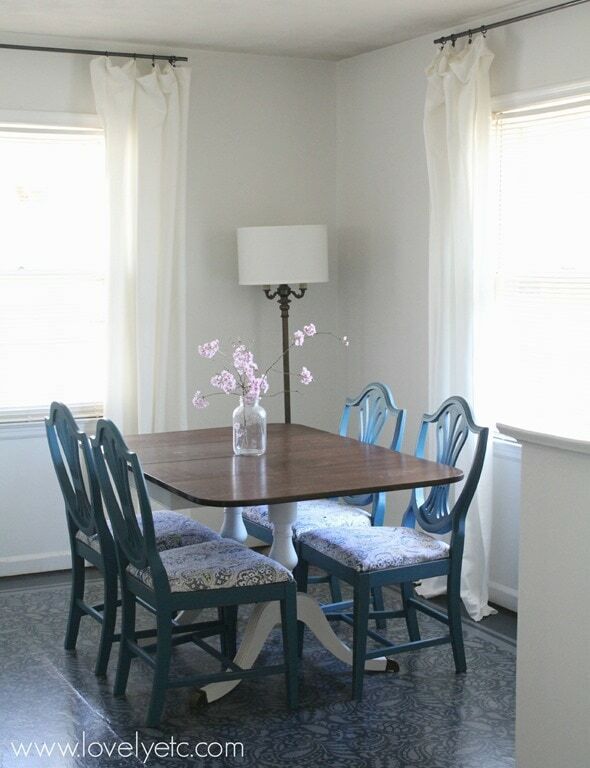 I love to mix vintage furniture with modern fabrics or style a modern table with my favorite vintage finds. 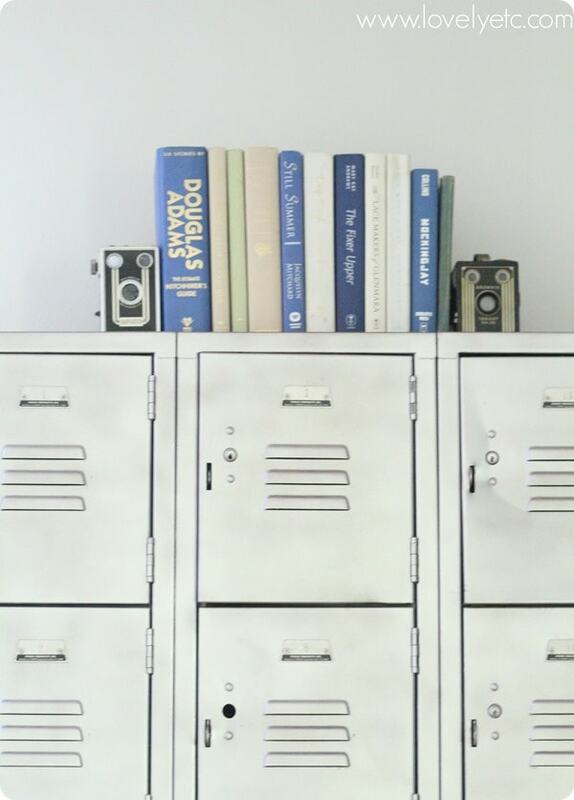 I like to decorate with quirky, unique things that not everybody else has – vintage cameras, lockers instead of a dresser, a giant arrow growth chart. And instead of buying art, I prefer to make my own wooden signs and other art pieces with special meaning to our family like my giant family silhouette. As much as I love to mix different styles into my decor, I have a soft spot for painted furniture, weathered wood, and well worn accessories. 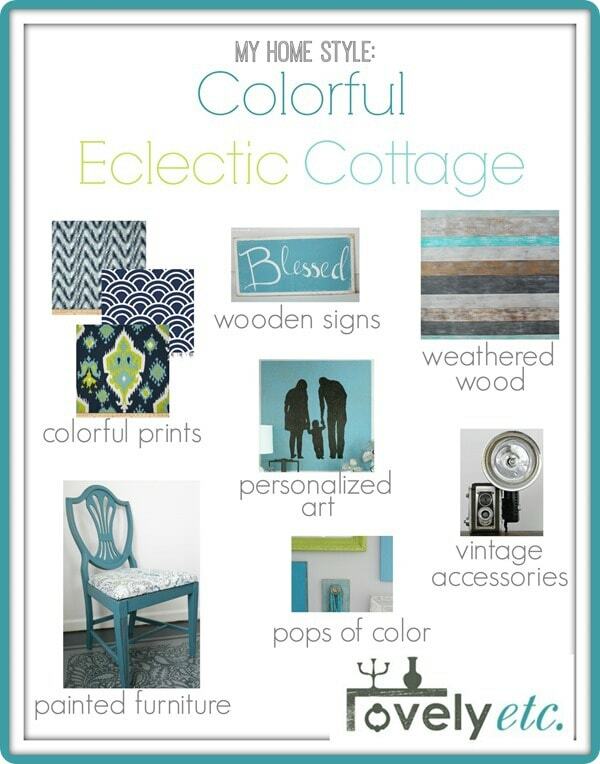 I just take those classic cottage elements and give them my own colorful spin. And that’s my style! See anything you can relate to? If not, check out the other bloggers in the blog hop – you’re sure to find something that resonates with you. Head on over to Elizabeth Joan Designs next – they are a pair of DIYing sisters with fabulous style. And be sure to check out the rest of the line-up as well! Your home is beautiful. Love all the touches of blue/turquoise!!! Thanks Susan! Clearly I am a blue girl! Beautiful. I am having the hardest time figuring out my style too. I seem to listen to others people’s opinions. If I say I like cottage /vintage, they say. Oh. You like that old grandma stuff. So I listen and don’t decorate with what I love.I like a mixture of styles. But like you, I do love white with clean fresh color. Why do ok listen to what other people say? Ugh. I know what you mean. I used to listen a lot to what other people thought. Or I would see things that looked nice in someone else’s house and buy the same thing – but it never really looked good in my house. It is hard but just do what you love! Your home is so pretty. You have done a wonderful job of incorporating color without overwhelming the spaces. I especially love the wood slats on the wall. Thanks Sheila! That wall is one of my favorites too. I love that sphere chandelier in your hallway!!! Gorgeous home and I’m so glad to “meet” you through this hop. Thanks Sarah! It has been great meeting you too! I love the colors that you have picked! 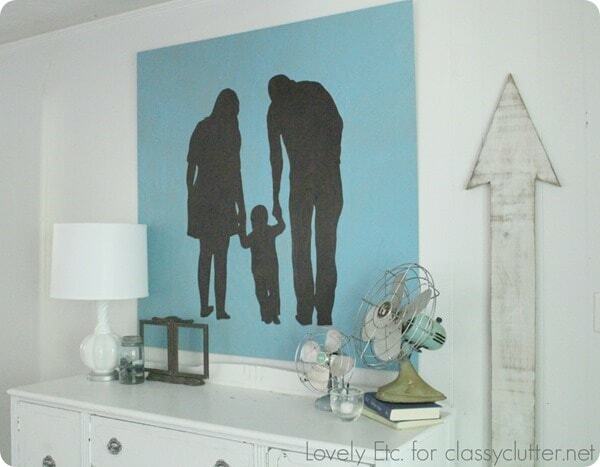 And your accent wall in the hallway – now that’s to die for!!!! Thanks Debi – I do love that wall! Hi, Carrie! I’m so glad to have connected through the blog hop. Your home is lovely, and your foyer especially so! I’m a blue person, too, although I’m trying really hard to branch out! Thanks Sharon! I’ve tried to branch out with my colors in the past but I usually just ended up with something I didn’t really like. I have figured out a few colors I really love that all work together though so I stick with those. 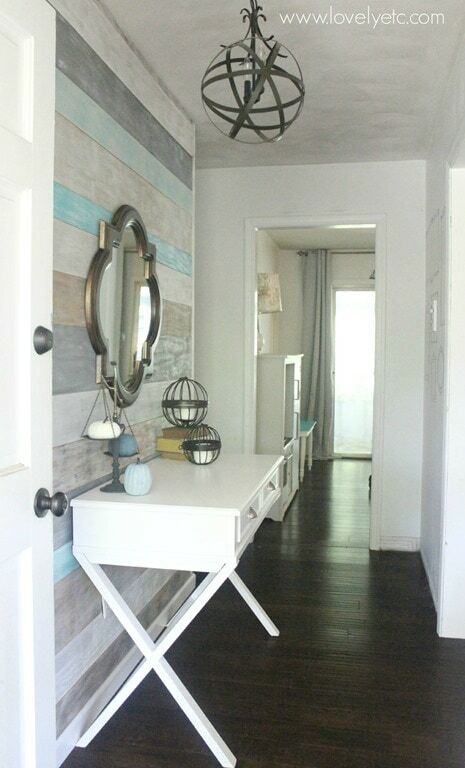 Your entry way is stunning Carrie! I love all of the colors in your home, the mix of different styles, and your dining table and chairs! Thanks Kathy! It has been so much fun figuring out how to describe my style. 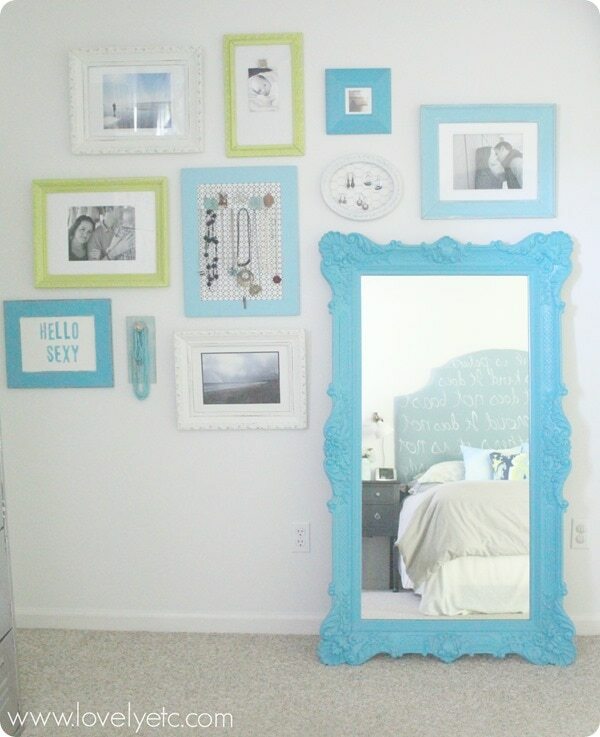 Love all of the turquoise! Your home is so pretty, Carrie! This is a weird comment, but I like how you wrote your piece…very effortless. I like your style, it is very well done and I like that you found YOUR true style. Thanks Jessica, that wasn’t a weird comment at all! I love to DIY but definitely question my writing sometimes so that was really nice to hear. It’ so pretty! Thanks so much for taking us into your home. I especially love that entryway planked wall, gorgeous! Your home is gorgeous Carrie. I love how you have added the pops of color. Love it! Thank you so much! Color is definitely important to me! Your home is so pretty, and inviting! 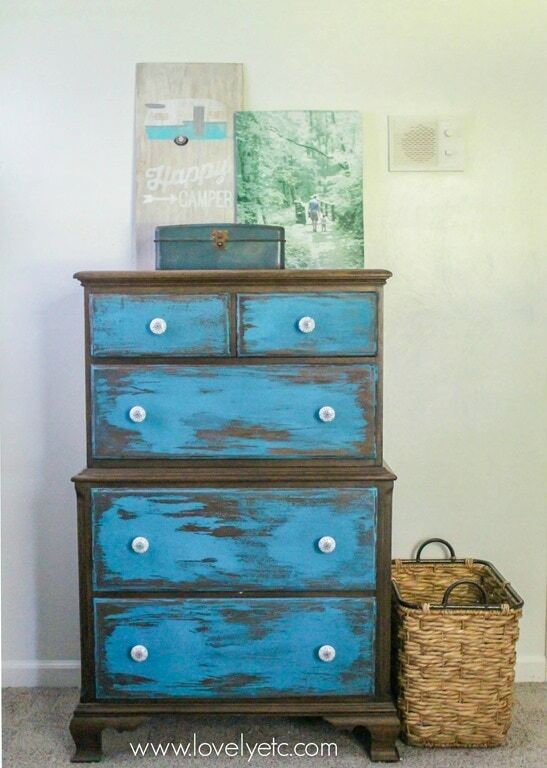 I love incorporating blues into my home decor, and your weathered wall is really calling my name! Just gorgeous! Thank you for sharing! Thanks Iris! Blues are definitely my thing – but it works because the same colors are throughout the house so everything flows. Wow! I love your style. The entry wall and light are beauties. (At least I think it is the entry?) Such a great mix!! Thanks Shelley! It is the entry and I love seeing it everytime I come in the door! Carrie I adore you home style!! Your entryway is gorgeous. Loving the planked wall!. Thanks so much for participating in the blog hop! Pinned and shared. Thanks Stephanie – and thanks for hosting! It was so much fun seeing all of the different styles.